"For a safe and effective treatment of melasma, before any treatments, it is very important to get a good diagnosis of the condition. This is because not all pigmentations are melasma. Melasma can be at the surface epidermis layer or the dermal layer. 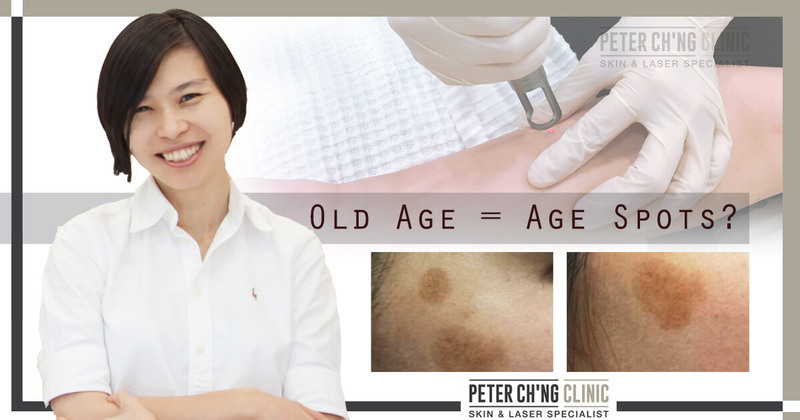 So you have to get your melasma condition diagnosed by a verified dermatologist accurately." 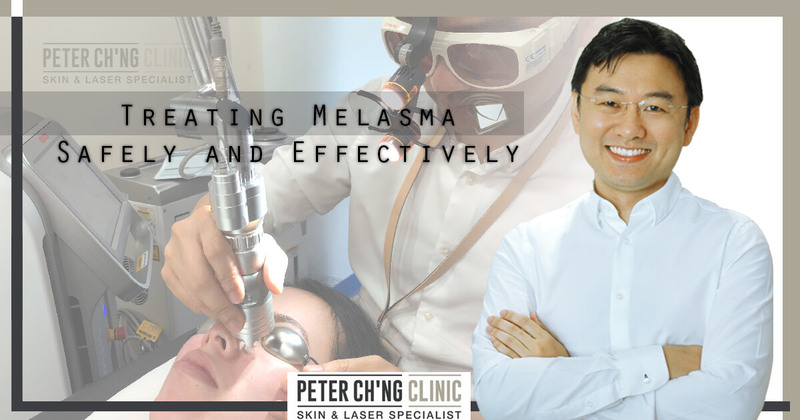 This was said by Dr Peter Ch'ng, our skin specialist doctor (dermatologist), in last week's Patient Mailbox issue about melasma after pregnancy. So the effectiveness of any treatment for our skin condition can only be as accurate as the diagnosis of the skin condition. In other words, a dermatologist needs to accurately diagnose your skin condition, and determine if it is melasma, hyperpigmentation or some other conditions before deciding on the safest and most effective treatment procedure for you. 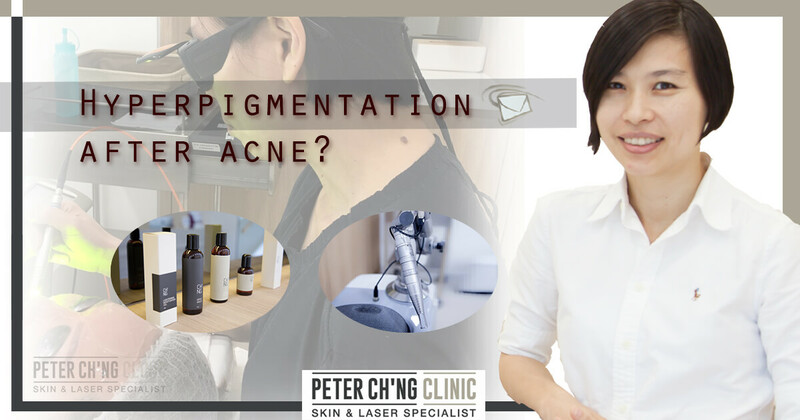 Two highly popular searches on skin pigmentation on the internet are melasma and hyperpigmentation, so today let's take a look at some of the characteristics of each, and their respective treatments methods, so that we know more about these two similar pigmentations. What is it? Melasma or hyperpigmentation? Melasma is a centra-facial condition, meaning that it is usually at the center of the face. And most of the time melasma happens bilaterally, creating symmetrical pigmentations on both sides of the face. Melasma appears in tan or brown colour. On the other hand, hyperpigmentation is the appearance of dark pigments on the skin. Depending on the cause of hyperpigmentation, these pigments can appear in large or small quantities on different areas of our skin. For melasma, the causes and risk factors include family history, being a female, hormonal imbalance during pregnancy or during the consumption of oral contraceptive pills, and the cumulative exposure of ultraviolet (UV) rays, which is why the older we get, the more cumulative UV exposure we have, and the more likely we can get melasma. Hyperpigmentation occurs on the area where the skin is injured. When there is an injury or inflammation to the top layer of the skin (our epidermis), it also means that there is a breakage in the inner of our skin (our dermis), in the basement membrane, which allows the deposition of melanin (dark pigment) into this layer of our skin. If you have had a history of acne and acne scars in the past, it is highly likely that your pigmentation is a type of post-inflammatory hyperpigmentation. 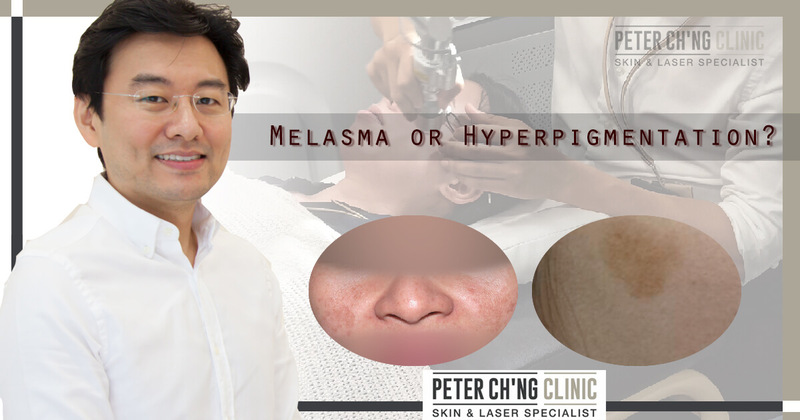 What are the treatments for melasma vs hyperpigmentation? One important treatment which is the same for both melasma and hyperpigmentation is the one that can be done at home by ourselves - avoiding ultraviolet (UV) rays from sunlight. The same goes for hyperpigmentation, too. A good sun protection for our skin is very important. We can go for a physical block like wearing a hat or long sleeves, carrying an umbrella, or just staying indoors during the peak sunlight hours of 11am to 4pm. Or you can also go for chemical sunblock, use sunscreen or sunblock lotion with SPF of at least 30 or above to protect your skin. If you sweat a lot over your exposed skin or go swimming, reapply from time to time. Unlike laser treatments for pigment on the epidermal (surface) layer of the skin, laser treatments for melasma don't cause any redness, swelling, or scabs and crusts on the treatment area. This is because melasma is usually present in the deeper layers of the skin, so the lasers penetrate through the skin to break down the pigments in these skin layers. So a melasma laser treatment comes with no downtime, and no post-treatment redness, swelling, or scarring. Laser treatments like pigment laser and copper bromide laser can treat hyperpigmentation safely and effectively. Lasers can penetrate deep into the skin and remove the pigments beneath the skin to make the spots on the skin surface disappear. In any case, no matter if you have melasma or hyperpigmentation, or even other pigmentations like age posts and freckles, only with an accurate diagnosis by a verified dermatologist can the treatment be effective. Safety is a concern, too. If laser machines are handled by inexperienced or unskilled hands, there are risks of the laser intensity being adjusted to the wrong level, or the risks of mishandling of the laser device that can either cause the treatment to be effective, or even make the condition worse. The same goes for any topical treatments for our skin. There are indeed medical grade products that can help lighten the pigmentation on our skin. However, these products should only be administered by a certified skin specialist or aesthetic specialist doctor after proper diagnosis on the skin condition. The safest way to avoid any risks is to get professional and verified medical advice for our skin - there's no shortcuts! So with that, hopefully we have cleared the sky on melasma vs. hyperpigmentation! 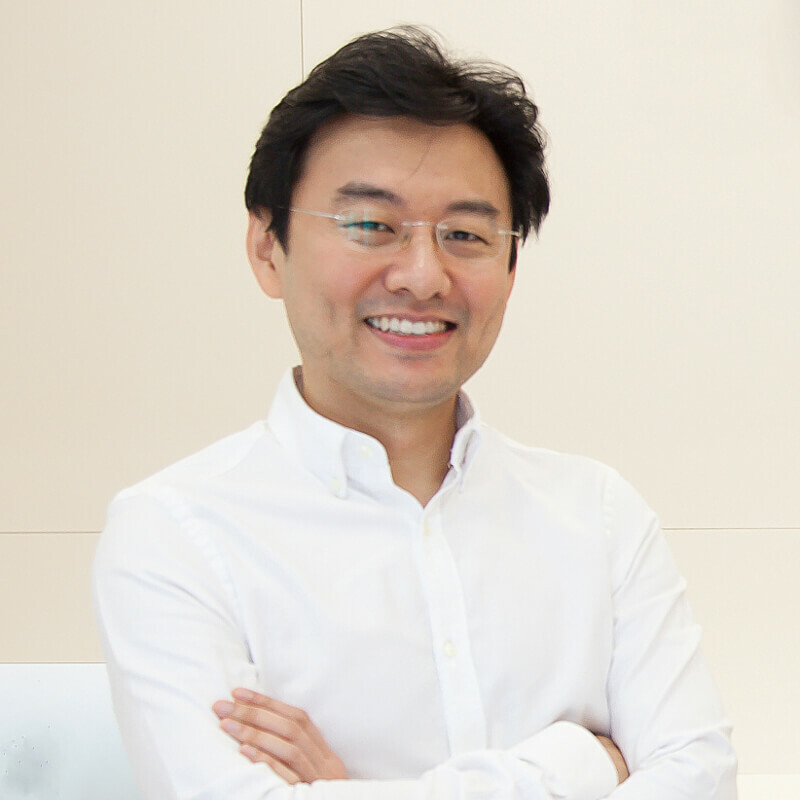 We'll be back with the Patient Mailbox series next week with Dr Loo, so stay tuned!